Regarded as an intimidating opponent by China, the Singapore Women's Team finished their journey in the Rio Olympic Games with no medals. This is totally in contrast from their performance four years ago in London, and eight years ago in Beijing. Even the main player Feng Tianwei also seemed to be in a daze, overpowered by her Japanese opponents. Does this signify a downward trend for the Singapore squad? “Today, my performance and adjustments were not really good,” started Feng Tianwei. “I was suppressed by my opponent as she introduced a lot of effective techniques. I was not able to deal with it in time. She really pressured me. I was at a disadvantage,” she added after her defeat against Kasumi Ishikawa in the battle for the Olympic Team bronze medal. Ranking third in the world, the Singapore Women’s Team has high hopes in this recently concluded Olympic Games in Rio, expecting to achieve at least a bronze. But matters did not happen as expected. The team’s main player Feng Tianwei was not entirely in a favourable condition for battle against the Japanese contenders in the competition. That actually made a big impact on the overall result. During the bout for the Olympic Team bronze, she was completely overpowered by Kasumi Ishikawa and even surprisingly whitewashed by the 15-year old sensation, Mima Ito. She also suffered a sweeping defeat from Ai Fukuhara in the Olympic Singles quarterfinals earlier in the competition. 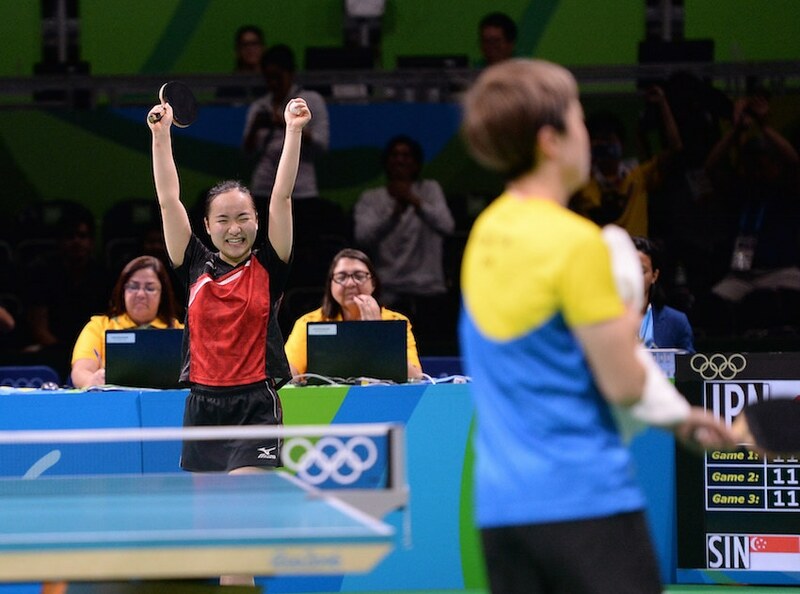 Feng Tianwei, during the duration of the Olympic Games, never won a single game against her Japanese adversaries. She failed in her quest in the Singles and was unsuccessful in bringing her squad into the medal podium. Surely there was something wrong and she admitted that there are a lot of things to learn in the Rio Olympic Games. “Being able to reach the top four is definitely not bad but I was not able to achieve a breakthrough. I lost two points in this battle. The loss is on me,” Feng Tianwei concluded. The 29-year old team captain can now only hope to continue to be motivated to achieve a bigger success in Tokyo four years from now. Feng Tianwei is one of the threatening players in the women’s division and she has contributed a lot to the level of success Singapore has achieved. Singapore Women’s Team won the silver in the 2008 Beijing Olympic Games. Two years later, they startled the world with their sensational feat against China in the finals of the World Team Championships. 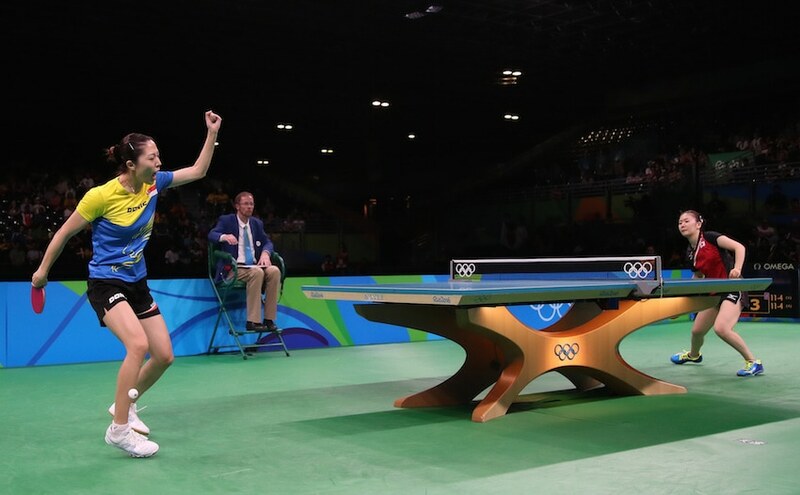 In 2012, the team bagged two Olympic bronzes from the Singles, cared of Feng Tianwei, and in the Team event. But things seem to change now. Singapore, this time, will be returning home empty-handed. Could this already be the start of a decline from the Singapore Women’s Team?